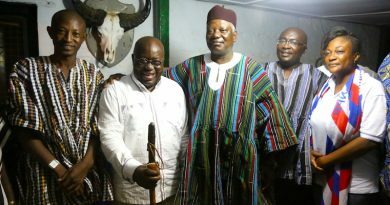 Nana Addo Dankwa Akufo-Addo believes Ghanaians “are yearning for a change” after touring five regions on his ‘Rise and Build’ expedition in Ghana. The New Patriotic Party (NPP) flagbearer has reiterated his warning about an impending Mahama-led tribal campaign in the three Northern regions in next year’s electioneering campaign, because the President will not be able to campaign on his record. “My dream is not that I am going to fill my pockets with the money of Ghana. That is not my dream. 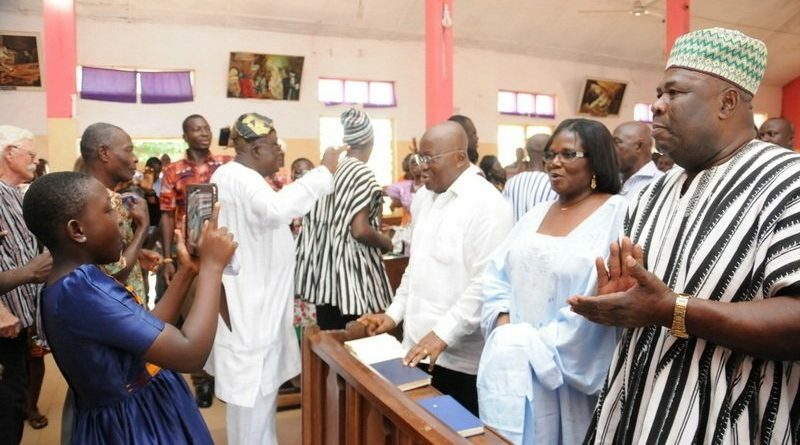 My dream is that in 30 or 40 years’ time when our grandchildren are writing the history of Ghana, they will say that ‘it was in Akufo-Addo’s time that our grandfathers and grandmothers turned around the fortunes of our country, and laid the foundation for the prosperous Ghana we are in today’”, Nana Addo said at the end of his tour. 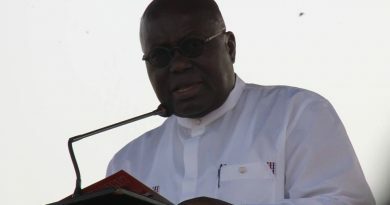 Sunday’s meeting with his party faithful brought to an end the first half of Nana Akufo-Addo’s “Rise and Build Tour”. After touring the Volta, Eastern, Upper West, Upper East and Northern Regions, Nana Akufo-Addo will from Wednesday, September 23, commence the 2nd half of the tour. 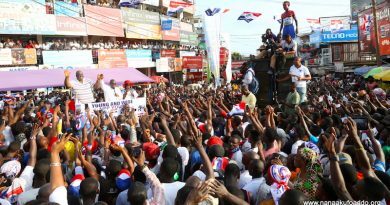 The Western region will be Nana Akufo-Addo’s first point of call, followed by a tour of the Central region beginning on Friday, September 25. Nana Akufo-Addo will then move to the Brong Ahafo and Ashanti regions, before ending his “Rise and Build Tour” in the Greater Accra region. 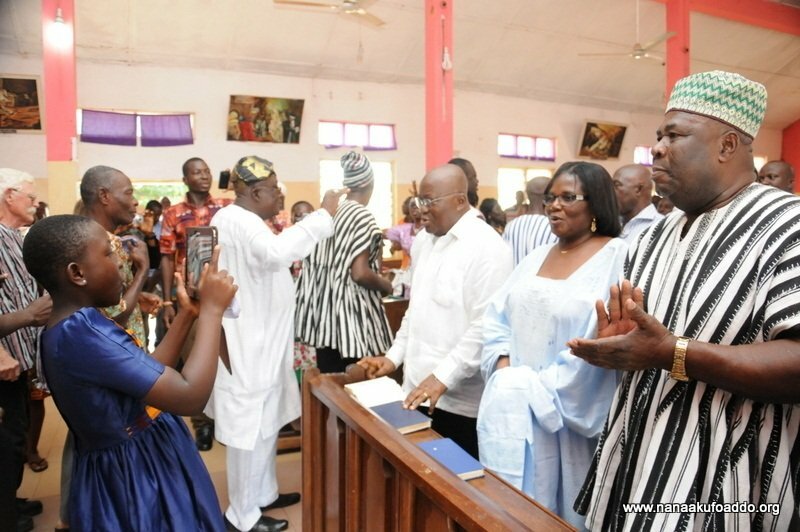 Nana Akufo-Addo was accompanied on his Northern tour by National Women’s Organiser, Otiko Afisa Djaba; former Minister of Trade and Industry under President Kufuor, Dr. Kofi Konadu Apraku; former Minister of State under President Kufuor, Elizabeth Ohene; Political Assistant, Francis Asenso-Boakye; Press Secretary, Eugene Arhin; Campaign Aides, Iddrisu Musah ‘Superior’ and Pius Hadzide, together with regional stalwarts like Daniel Bugri Naabu, Northern Regional NPP Chairman; Hon. Prince Imoro Andani, a former Northern Regional Minister under President Kufuor; and Alhaji Haruna Tia, former Northern Regional NPP Chairman.